"I couldn't be more pleased with the deep roots of our plants, especially our tomatoes and peppers that not only excel through the Spring but continue setting fruit well into August. I highly recommend Dripping Springs Ollas. And Lori's customer service is second to none." 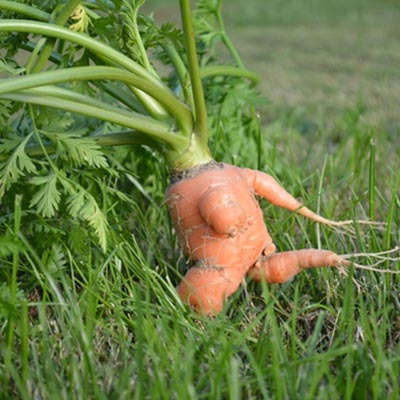 "I love my olla so much that within a month I bought five more, all for my little 4x12 foot plot. I'm very busy and often don't get a chance to water for days at a time. The Dripping Springs Ollas repeatedly save my plants from certain death in the Texas sun." "I *love* your products! They are keeping my lemon and lime trees very happy this summer." "Last year we had a deluge of rain every week, tomatoes were splitting all over the state. My tomato plants that I had installed with Ollas averted this splitting issue 100% of the time, in all types of locations in ground, containers and raised beds." "Wanted to let you know that the ollas work fantastic up here in NJ. Don’t even need to weed. It really is unbelievable. We will definitely be buying more for next year." 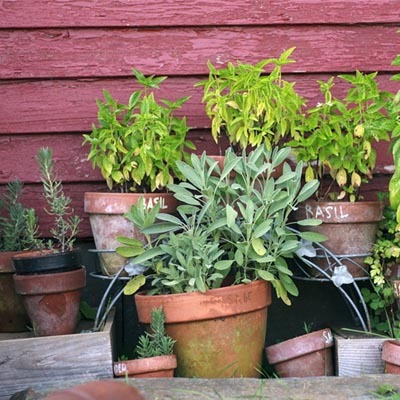 "Our 7 DSO ollas collectively are doing a terrific job nurturing our winter greens in the greenhouse—they are all thriving— These ollas truly have made a difference in our winter watering as I was previously carrying watering cans filled with lukewarm water from the house to the greenhouse, trying to water evenly and thoroughly but never really knowing how effective my efforts were." "I am grateful that you are making a product in North America. You have a superior product that is very heavy and thick. Dripping Springs Ollas are made to last." "Oh our OLLAS are a godsend! They really make it so much easier to keep the garden watered as we run entirely off rain barrels & have no water source on the premises." "I am using 2 of your ollas at Normanskill, where water has been especially scarce. They are working well, but they are thirsty!" "We really appreciate the high quality of your ollas"
"I’m moving and I’m going to dig mine up and take them with me. I can’t live without them!" "All of my plants survived (vacation), even the ones in the container with the medium olla. We do love our large ollas (too). We have them in a number of galvanized stock tanks that we use as planters. Thanks again." 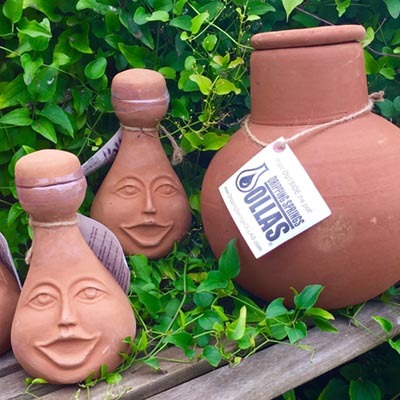 "I am so thrilled at how simple it (an olla) makes my watering. We are in a terrible drought. It would have been so hard for me to garden this year, but NOT NOW!!! No stringing hoses out to the bed!!! Woo-hoo! Just a bucket. It's perfect. 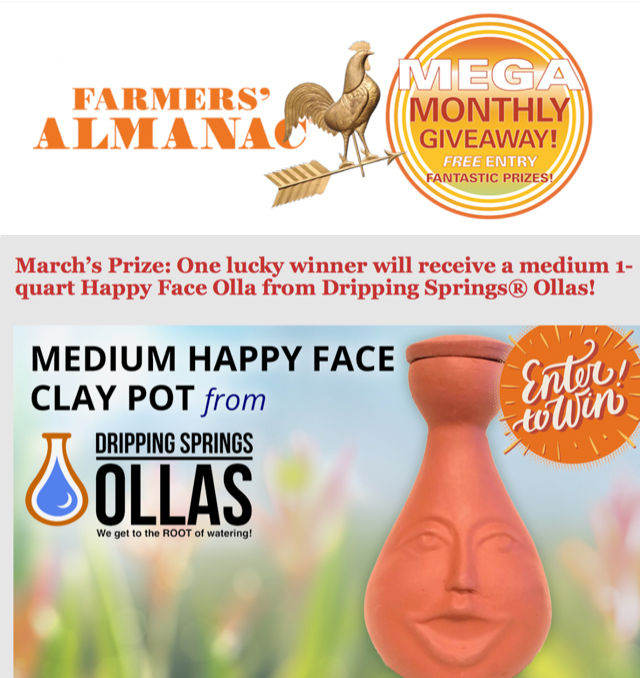 Lovin' Dripping Springs Ollas in Southern Colorado!!! Thanks for the help!"